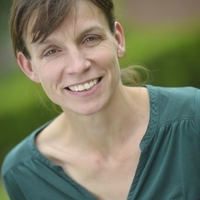 Frauke Gräter is head of the research group "Molecular Biomechanics" at the Heidelberg Institute for Theoretical Studies (HITS) and Professor at Heidelberg University. She investigates how proteins have been designed to specifically respond to mechanical forces in the cellular environment or as a biomaterial, e.g. in the process of blood coagulation, in spider silk fibers or in composite materials like nacre. To this end, her group uses and further develops various simulation techniques from the molecular to the mesoscopic scale. Her group extensively runs simulations at national and international HPC centers. After research stays in Shanghai, Göttingen and at Columbia University, USA, she became leader of a Junior Research Group at the Partner Institute of the Chinese Academy of Sciences and the Max Planck Society in Shanghai in 2007. Since 2009, Frauke has been leading the HITS Molecular Biomechanics (MBM) group. In addition, she became Professor for Molecular Biomechanics at Heidelberg University in 2014. Since 2017, she is Member of the Board of Directors, Interdisciplinary Center for Scientific Computing, Heidelberg University. In 2017, she won the PRACE Ada Lovelace Award for High Performance Computing. In the same year, she was named member of the Scientific Steering Committee (SSC) of PRACE (Partnership for Advanced Computing in Europe).